In sport we don’t just want to know who won. We now want to know how to replicate success and then improve on it. And to do this, we’re using data – and lots of it. The field of “big data” analytics has come to sport and athletics, with massive implications for sport as we know it. The Women’s Tennis Association recently approved real-time data capture, which means that court-side coaches can now advise their players during a match on best shot placement or serve direction using little more than a smartphone or tablet. It could be argued that this detracts from a player using their instincts to make their own decisions. But it means that to tennis fans watching, it’s easier to understand what makes a good player great and why their opponent lost, while players have an even keener competitive edge. Perhaps the most famous example of performance analysis was illustrated in the 2003 book Moneyball, which followed the rise of the Oakland Athletics baseball team. Using a data-driven approach for recruiting players and producing game strategy (with a budget only a fraction of the larger, more successful teams), the Oakland team replaced scout or management decisions driven by experience, with those determined using data accumulated through match activity and statistics. This approach took them to the playoffs in 2002 and 2003 and changed forever how many team sports operate. Using data analysis in sport is complex – not just because of the sheer volume of it, but in finding ways to structure and relay many highly dynamic pieces of information to a coach, manager or athlete in order to make quick strategic decisions. For example, in Formula 1 car racing the decision to pit, refuel, or replace tyres is not just made from necessity; it’s often chosen for a tactical advantage in terms of favourable positioning over competitors who may have to do the same. The decision is based on many pieces of data about the car, driver and competitors performance, and must be made quickly, with the highest level of confidence possible. Big data analysis can not only provide information on the many parts and systems contained within the car but it can do this in both racing, design and testing to improve performance. Don’t think that such number-crunching is restricted to sports based on high levels of technology. 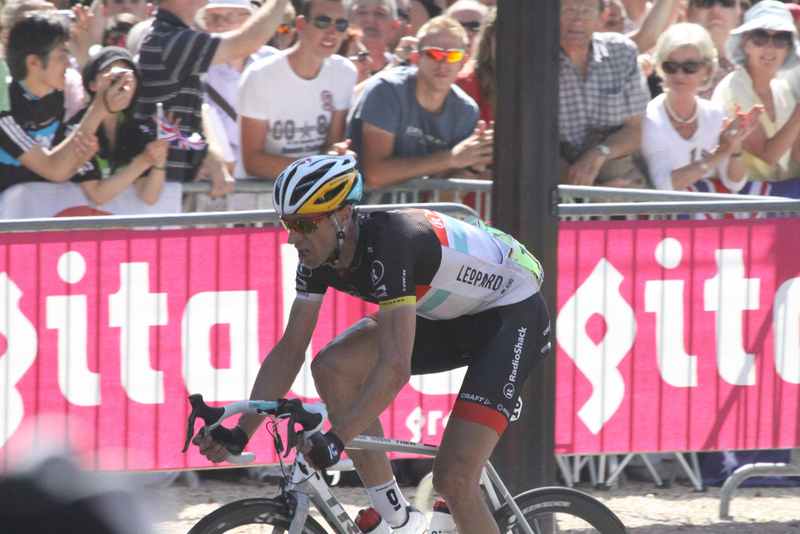 German cyclist Jens Voigt broke the prestigious world hour record, in which a cyclist in a velodrome attempts to cover the greatest distance in an hour. The event was televised despite the apparent simplicity of the nature of the challenge, and the footage clearly shows a team of analysts monitoring and recording real-time telemetry. This information would have included the riders pace, power output and other information such as real-time aerodynamic drag measurement. Unlike in tennis, the rules here prevent the rider from knowing this information at the time, but the team can use it in preparations for future attempts to guide athlete performance, training, and so on. Increasingly this technology is not just overlaid on television broadcasts for the viewers, or for analysis by sports teams – it can be worn. The falling cost and increasing power and complexity of devices such as smartphones means data acquisition has switched from being a luxury to something anyone can use, anywhere, in real time. For example, Apple’s iPhone 6 advertising campaign has focused on its health-tracking capabilities using various sensors. Many smart watches offer similiar features. In fact, “smart clothing” and fabrics that could monitor the wearer’s health and emotional state was proposed as far back as a decade ago. Today such technology can be integrated invisibly into the clothing an athlete wears. So while the sport may look unchanged, athletes can transmit a wealth of data that reflects the nuances of their performance without restricting their movement. Data analysis has moved out of the lab and onto the playing field. And big data analysis isn’t just restricted to athletes themselves. With huge amounts of money at stake in professional sports leagues, even aspects such as fan behaviour is now a valuable resource. By understanding how fans engage with the sport or a team’s brand, decisions can be made about tailored sports advertising or broadcast content. The use of social media can therefore help increase a team sponsors’ return on their investment. These days, the use of big data analysis in the sporting world is limited only by the investment and resources available, and the ability to act on it. Perhaps a question for us to ponder as fans is whether knowing this information dehumanises or takes the thrill out of sport: does knowing the statistical likelihood of a goal being scored or knowing which player is likely to do so remove some of the mystery when we watch? Or does it help immerse us in the experience of the game played and the skills on display? With big data now firmly in the game, these questions will continue to play out. Bryce Dyer, a Senior Lecturer in Product Design at Bournemouth University, does not work for, consult to, own shares in or receive funding from any company or organisation that would benefit from this article, and has no relevant affiliations.